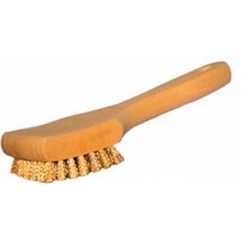 Hardwood Block Sidewall Wire Brush BOWES SS 37000. Filling material is staple set in smooth sanded wax tumbled hardwood block. Ideal for cleaning white sidewall tires.